Tufted Duck are a regular part of the winter in St. John’s, likely originating in Iceland. Origins: Occurs widely across Europe and Asia, but is largely migratory and winter south of its breeding range. Details: Tufted Duck are an uncommon visitor to Newfoundland, mostly in St. John’s during fall and winter although there are occasional summer records. As many as 60 individuals have been recorded in the city during winter. We have a pair diving just outside my home in Port aux basques. Excellent! 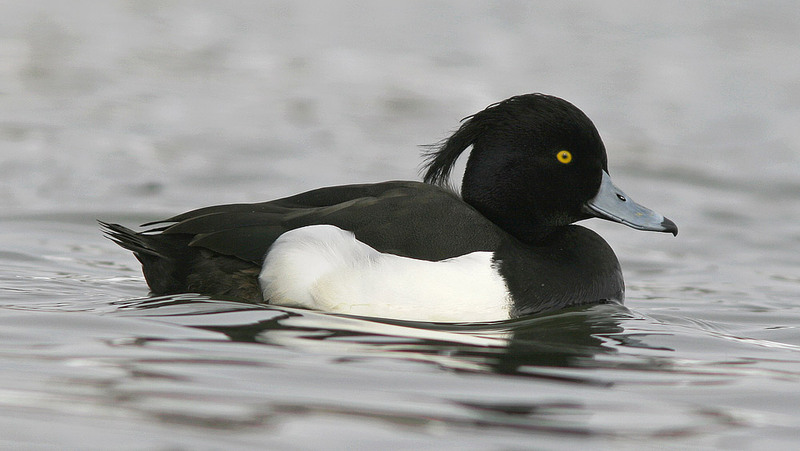 Tufted Ducks are closely related to Greater and Lesser Scaup, which are much more common around Newfoundland. Tufted Ducks are quite rare outside of St. John’s, so your sighting is very noteworthy! Here are several at Quidi Vidi Lake right now!